The summer season is starting to heat up, and now is a great time to contact your HVAC company to schedule a new air conditioning installation for your home. With proper air conditioning service and installation, you can ensure that your indoor spaces remain at a pleasantly cool temperature all summer long. In addition, a company offering HVAC in Murfreesboro can help you choose the right AC installation for your specific property. If you have been on the fence about installing AC in your home, you may want to consider scheduling this home improvement service before summer is in full swing. Read on for a look at some of the fantastic benefits of having air conditioning in your home. With an air conditioning installation, you can rest assured that you will have reliable cooling in your home, no matter what temperature it is outside. An air conditioner that is connected to a programmable thermostat can keep your indoor spaces at a consistently cool temperature, throughout the day and night. By installing a new AC system, you can rest assured that you will be able to beat the heat throughout the summer months. Along with helping to keep your home at a cool and comfortable temperature, your AC system will also provide you with the added benefit of purifying your indoor air. Before your air conditioner delivers climate controlled air to your home, it will pass all of your cooled air through an air filter. 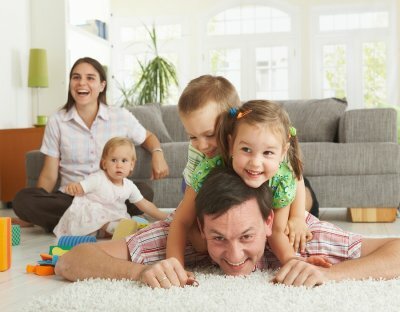 This air filter will purify your indoor air supply and remove dirt, dust, and other allergens. Overall, air conditioning can provide you with the benefit of having total peace of mind, even when the weather heats up. With the single push of a button, you will be able to quickly and easily cool your home. In addition, air conditioning can also reduce your risk of experiencing heat related illnesses during a heat wave. Your HVAC technician can provide you with more information about the added benefits of air conditioning maintenance and installation. When it comes to HVAC maintenance for homes near Murfreesboro, it is much better to catch a minor problem early, before it can turn into a serious issue. Some of the most common HVAC issues for homeowners include low Freon and compressor issues. In order to help your AC installation last for as long as possible, you may want to consider setting up a residential HVAC maintenance agreement. With a maintenance agreement from your HVAC company, you can rest assured that any repair issues will be addressed, as soon as they arise. Overall, preventive maintenance can save you significantly on the cost of repairs in the long run. For a look at some of the advantages that an HVAC maintenance agreement has to offer you, check out this video. When you are planning on upgrading your HVAC system before the start of the summer system, you may want to consider an AC installation for your home . To achieve reliable cooling in one or more areas of your home without the need to install new ductwork, you may want to consider a mini-split installation. A company that specializes in HVAC installation in Murfreesboro can help you choose the best air conditioning system for each area of your home. By choosing a mini-split unit, you can receive the benefits of air conditioning with none of the hassles of installation. Read on for an overview of what you need to know about mini-split air conditioners. As you are shopping for new mini-split air conditioners, it is a great idea to learn more about the components that are included in these systems. Mini-split air conditioners are equipped with compressor units that are placed on the exterior of the home. Each compressor unit is attached to an indoor unit that is designed to pump cooled air into the room. After your mini-split air conditioner is installed, you will be ready to start enjoying cool air in your home. These types of air conditioners function differently than central AC units. While a central AC unit is connected to your home’s HVAC system, a mini-split unit is a stand alone system. For this reason, mini-split air conditioners can be installed without the need to install new ductwork or adjust your existing ducts. If you are considering a mini-split installation for your household, it is a great idea to tour the advantages that these types of air conditioners have to offer you. For example, a mini-split air conditioner is much more energy efficient than a conventional model. In addition, you can place your mini-split air conditioning system in a key location to provide you with the optimal comfort. Overall, installing a mini-split system is a wise investment for any homeowner.